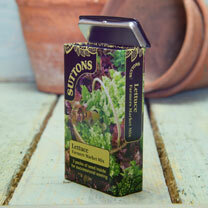 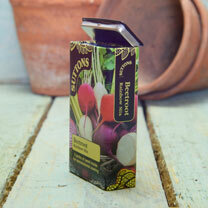 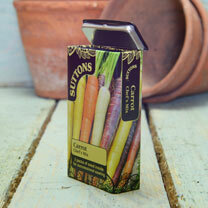 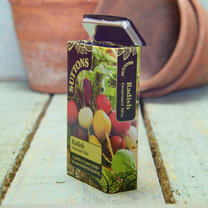 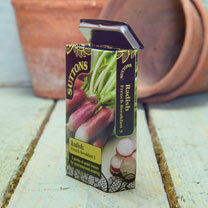 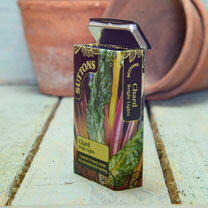 We’ve put our 12 most popular varieties of vegetable seed for successional sowing into these handy seed tins. 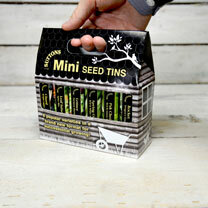 Each tin contains twice the amount of seed than in a standard seed packet, which is split into 3 sachets inside the tin to help the gardener manage their successional seeds! 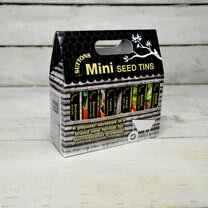 No more ripping of packets and then rolling down the tops, trying to keep the remaining seed safe and dry – these mini seed tins, which are slightly smaller than the size of a deck of cards, do this for you whilst also looking great on a shelf in the kitchen, utility or shed. 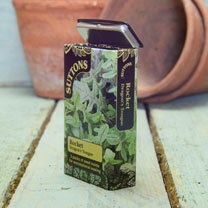 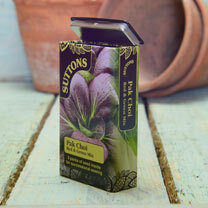 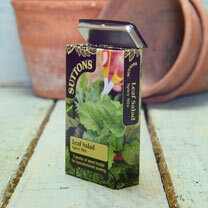 The sturdy metal tins also have a hinged lid and are the perfect size for a back pocket or apron. 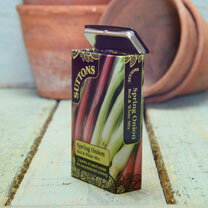 The classic styling is reminiscent of over 200 years of Suttons Heritage in Seeds, as well as proudly bearing the Royal Warrant. 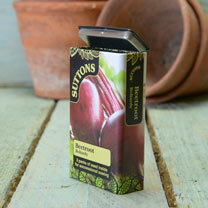 The sides of the tins have been specially designed to resemble the side of a book, so you can line them all up in ‘bookcase’ fashion!.